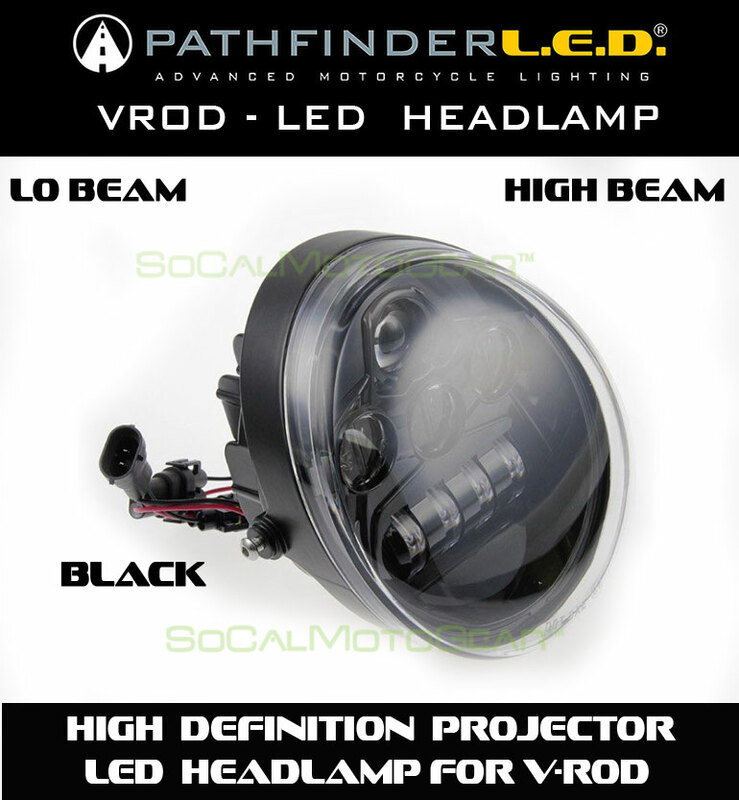 PATHFINDERLED 7INCH LED PROJECTOR HEADLIGHT HEADLAMP SYSTEM SoCalMotoGear.com - Professional Grade Motorcycle Lighting - Plug N Play Products - "Riding at night has never been brighter!" Better Visibility Day or Night. 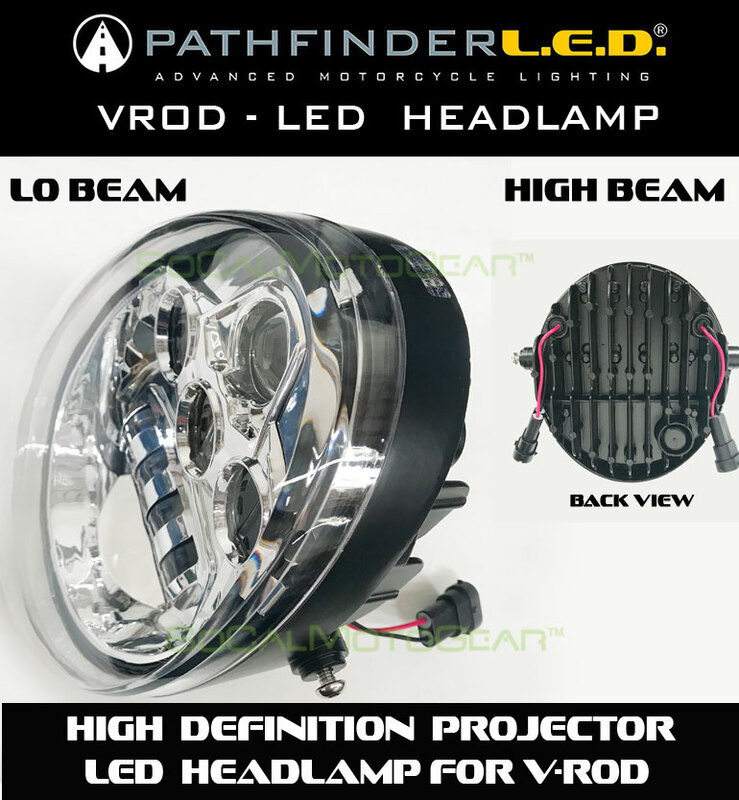 This High Performance LED headlamp will replace your dull stock headlight to LED. 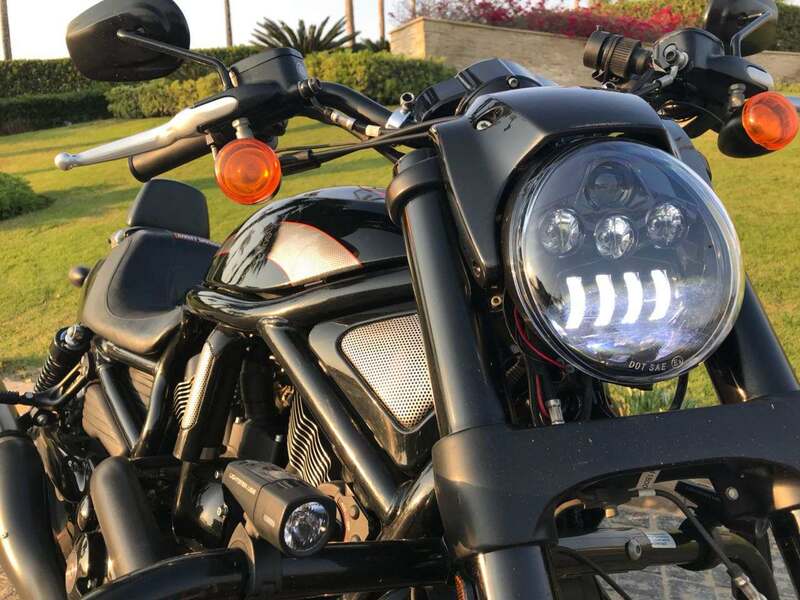 Our customers have been demanding an LED headlamp upgrade for the V-ROD that outperforms their stock and the competition. It's now available! Available in Chrome or Black and is completely PLUG N PLAY. 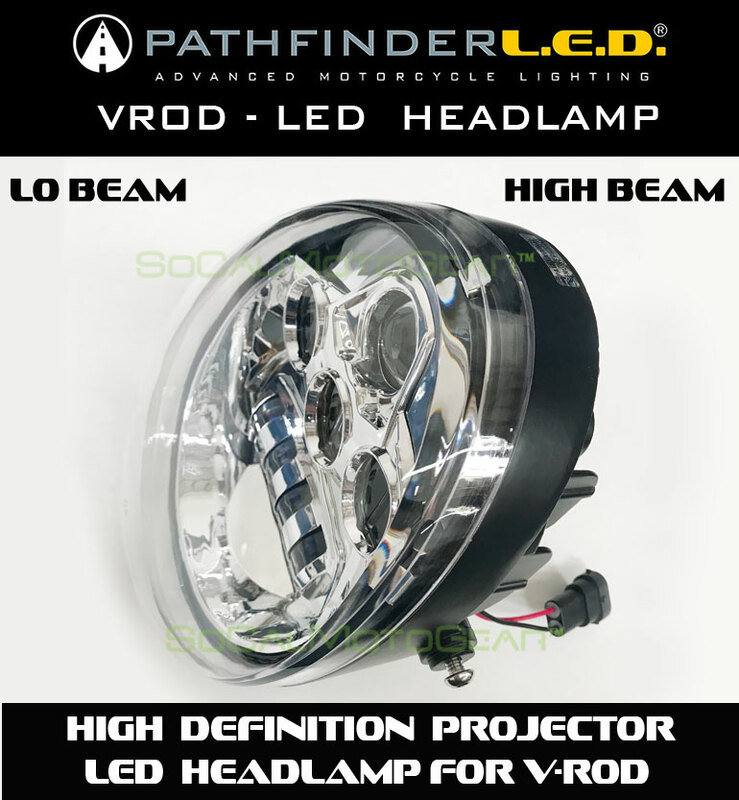 Get ready to see like you've never seen before and by converting to an LED headlamp, you draw much less from your battery/alternator while dramatically increasing your visibility from oncoming traffic. See better than ever before, upgrade today and see what you've been missing. 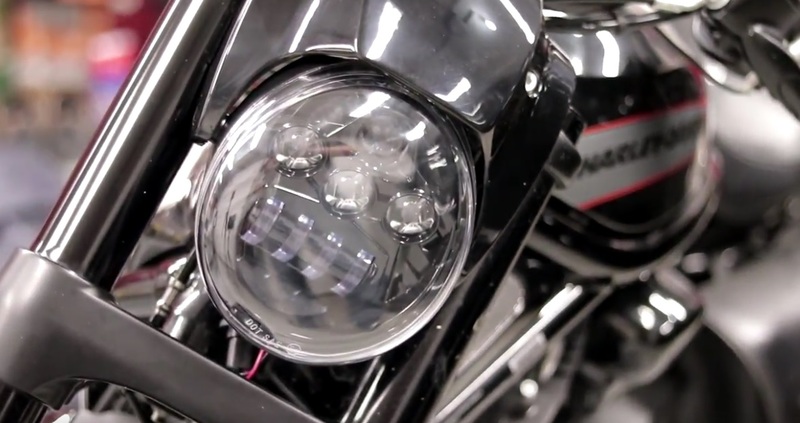 This LED HEADLAMP is a direct replacement for headlights that have the (OVAL) style lights from the factory. VRSCAW Style Headlights, Muscle Style and 2012 & Up VRSCDX. WILL NOT FIT ANY OTHER MODELS. 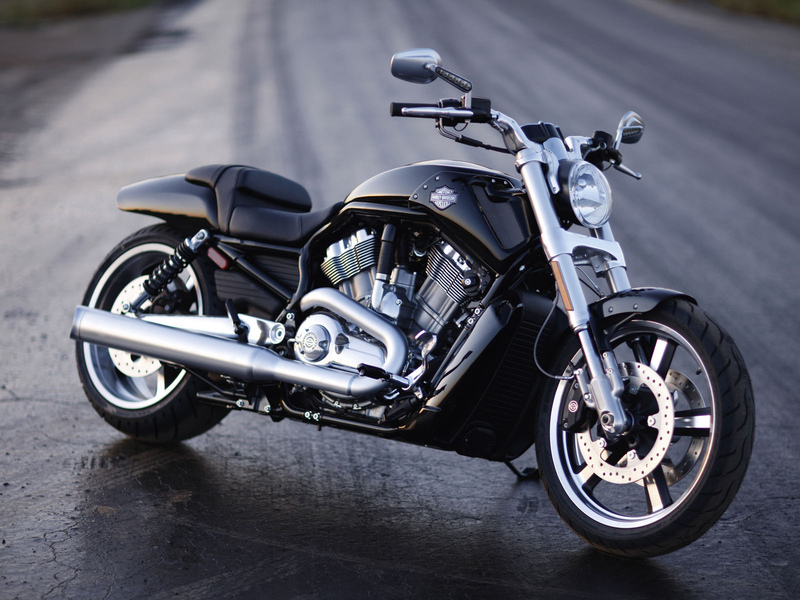 Warranty: We have one of the best in class warranty available. 1 YEAR direct replacement warranty, no questions asked. FITS ONLY: VRSCAW Style Headlights, Muscle Style and 2012 & Up VRSCDX. WILL NOT FIT ANY OTHER MODELS. LO AND HIGH BEAM OPERATION. A buddy and I were photographing my bike and the new lights after dark and lighting up the scene was hard to believe. The LED are so easy on the battery we photographed the bike over 2hours and I had no trouble starting the Harley Heritage. The road had no street lights the headlight and passin lights had the road and way beyond the shoulders of the road looked like I was using aircraft landing lights or barge spotlight. Until you actually see the illumination it impossible to describe.i am still working on some photos before and after I hope to send you soon. Holy Cow, well worth the money. 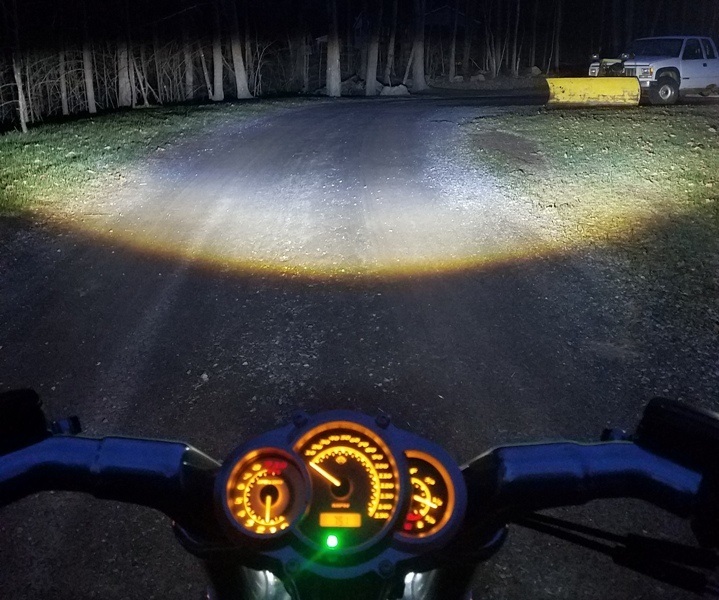 I mostly ride during the daylight hours I was going for safety but now I want to ride at night with this much visabilty for me and oncoming traffic. My 2 year old search for a better headlight is over. 10x brighter than the stock light and soooo much wider a beam, makes the dark of night more tolerable. Thanks Pathfinder for leading the way, literally... And installation is a snap, 20 minutes and done!